Here’s another altered notebook. Once again, I have specified it to the interests of this particular girl per my daughter’s request. I used the Cricut Create-a-Critter cartridge (so super cute! ), Close to My Heart papers (grey wool and grey flannel) and inks (black and grey flannel). I used both the images and borders of the Stitched Together stamp set. I’ve been doing a lot of tone-on-tone stamping for backgrounds lately! The name is stamped with the new Urban Alphabet stamp set, which is becoming a favorite of mine. It’s just the perfect size for so many things! You already know that Close To My Heart’s Studio J® online design software is a great deal, saving you lots of time and money. During October, you can get an even better value from Studio J — when you buy 9 layouts, you’ll get a 10th layout free! Take advantage of this promotion by ordering in multiples of 10: Buy 9 to get 1 free layout, buy 18 to get 2 free layouts, etc. 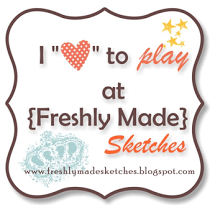 You can get up to 5 free layouts! It’s a fast and inexpensive way to get your pictures off your computer and into your scrapbooks! Since you can ship as many as 50 layouts together in a single box, the savings truly stack up the more layouts you order in October. Don’t for get about our sensational new Express Collections that make it even easier for you to save time and complete even more layouts! 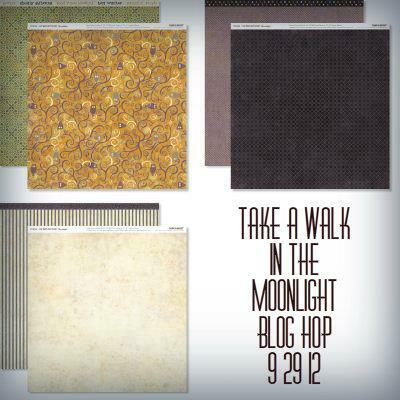 Thank you for joining us on our “Take a Walk in the Moonlight” Blog Hop. We have a fabulous path for you to follow as you take your walk in the moonlight with us as we feature Close to My Heart’s Moonlight paper pack. If you are coming from Bethany’s Blog, you’re in the right place. If this is your first stop, you can go to the beginning at Lucy’s blog. Supplies used are all Close to My Heart unless otherwise noted: Moonlight Paper Packet, Damask stamp set (retired), Smokey Plum ink, Opaque Pearl Flourishes, Opaque Pearls, and Graphically Speaking Cricut cartridge. I used a Becky Fleck sketch for this one. Who would have thought that these were “Halloween” papers?! I just love Close to My Heart’s double-sided B&T Duos Paper Packs! The strip is cut from the top of the paper. This is a great feature that they’ve added over the last year, in addition to the paper being a thicker, cardstock quality. To overlap the pearl flourish from one page to the next, I first cut it on the transfer sheet, then applied each section, matching up the one on the second page with the one already attached on the first page. The photo corners are stamped with the same damask stamp that is on the page. I cut the squares in half to create the triangles for corners. The next stop on your moonlight walk is Stephanie’s Blog. On November 3 @ 6:00 – 9:00pm, we will be creating the Pear & Partridge Cardmaking Kit with a Mystery Hostess. If you order for this kit or place an order of $29.95 or more, your name will go into a drawing for the hostess rewards earned on this order. You need to order by Oct. 13 by contacting me or joining the correct gathering on my website to qualify and receive it by the scheduled workshop date. *The Stamp of the Month may vary depending on your purchase date. If you order online, it will be the month in which you are purchasing. If you order by contacting me, it will be (October) Very Merry Christmas. (September) Celebrate your everyday moments with the My Acrylix® It’s Your Day double stamp set. Get it for just $5 when you place a minimum order of $35 in full retail products from August 15 through September 30, 2012. (October) Buy 9 Studio J layouts, get the 10th one free. On November 9 @ 6:30 – 9:00pm, we will be creating the Pear & Partridge Scrapbooking Kit. If you are in Club, this is the time to order. You need to order by Oct. 5 by contacting me or joining the correct gathering on my website to receive it by the scheduled workshop date. Not sure if this is an error or not….I would not have had enough red cardstock to cut mats for all the photos….but it seems that the mat for the larger one does not appear on the cutting guide. If you want the red mats I would suggest more cardstock or just using some of the red patterned paper (you will have extra). As far as my other changes…I rotated the first page to accommodate my picture. I skipped the mats on the second page and used 4×6 photos. I resized piece E to 7″ x 10″ instead of 5″ x 9″. However, if you want to keep the journaling spot free you could fit two 4×6 photos within that area. I just don’t journal much on my layouts and I wanted to add a bit more color/pattern. When cutting the Christmas tree fo this one, I did cut off the curly ends. Something else that is on the layout that I didn’t notice instructions for is the small border strip. This can be cut from the striped patterned paper. I am so mad at myself. I did not realize until I was completely finished with this layout and put the pages side by side that I mixed up the background paper with the tan that was meant for matting the photos! I guess it’s not the end of the world. Frustrating, but I a certainly not going to redo it. Finally a note on the rubons. Once again these are high-quality and easy to apply. I did notice that if they have glitter you need to rub them a little more but they still turn out well. I haven’t found many that so easily rub over layers of photos as you can see on my first page. I even used the rubon underneath the top of the cutout tree and it is holding down the tip (tree was attached with 3D foam tape). I added a few extra rubons and sparkles to my layout. I cut the one rubon to transform it into a corner.